Before the rebranding of our group in January 2016, “ABOUT US” was probably the most cliché part of our credential presentations. The introduction of the new manifesto and the “challenger octopus” spiced things up and made the conversations with potential clients and partners livelier than ever before. We decided to spice it up even more by adding some alcohol. We’ve created a cocktail – HYPERBUNDLE, which not only embodies the network model, but also brings out the key messages from our manifesto. 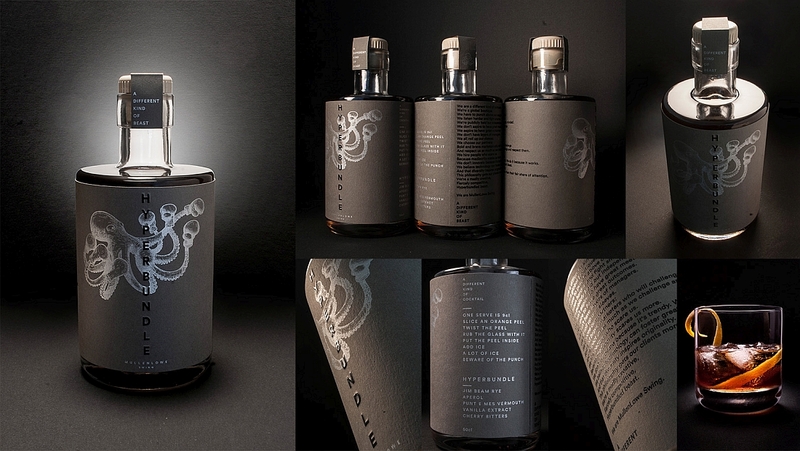 * It contains spirits only as “we’re madly creative and fiercely competitive”. * It is fresh and easy to drink but it “punches above its weight”. * We present it to our clients in a boutique 50 cl bottle for 5 servings so it can be enjoyed in a team. Stir in a mixing glass with lots of ice. Serve in rock glass with huge chunk of ice and an orange peel.